Cracking of any form can lead to failure of concrete members. So in concrete engineering, this term is studied and handled with care. We have provided a basic idea about microcracking in the last post; here in this post we will discuss about the cracking pattern, elongation of cracking and appearing new cracks under loading. We have already learnt that this types of cracking remains in the concrete even in preloading state. Let’s learn about what happen when concrete becomes stressed to its ultimate loading. 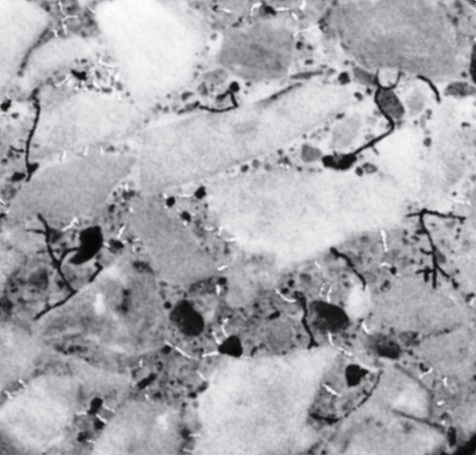 Microcracking is determined by optical microscope as it is often not visible under human eyes. 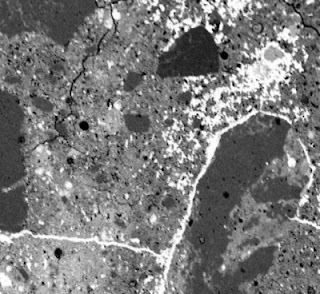 But a upper limit of cracking (0.1 mm) that can be detected by eyes without any visual instrument, is found in some findings. For engineering applications a lower limit of cracking can be set. We will discuss about behavior of microcracking under cyclic loading in the next post. In this post we will discuss about gradually application of loads. The microcracks show stability under increasing load up to around 30 percent of ultimate load. Beyond this stress the cracks expanded with their number, length and width. As we discuss in the last post the cracking weaken concrete under its tensile stress. Now the stress level depicted above is not fixed, it’s have sensitivity of W/C (water to cement) ratio in the paste. But in this stage cracks propagates slowly. So far we are talking about cracking between interface of cement paste and coarse aggregates. When stress reached near ultimate capacity of concrete, cracks formed in the mortar i.e. bond between fine aggregate and cement paste are destroyed with the gradual increment. When load is increased to (70 to 90) percent of ultimate strength of concrete, cracks make their way through the mortar. 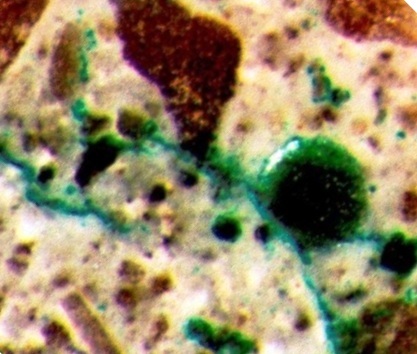 A new pattern of cracking in concrete in continuous form is developed which release the bond between fine aggregate and cement paste. The cracking state discussed above is fast propagation stage. As discussed in last post, reaching stable stage depends on water to cement ratio. Here, in this fast propagation cracking stage, the starting point depends on strength i.e. initiation of this stage is higher in higher strength concrete and lower in normal strength concrete. Higher strength concrete shows better performance than normal strength concrete in both stages i.e. the number, width and length of cracks, in all respects, high strength concrete performs well. Cumulative length of cracking of such types is measured using the neutron radiography. The high strength concrete possesses lower values in cumulative length of microcracks as usual. The commencement of fast propagation stage of cracking corresponds to discontinuity in volumetric strain. We will discuss about volumetric plotting in determining poisson’s ratio elaborately in our upcoming post. Here we are providing a basic idea about this. 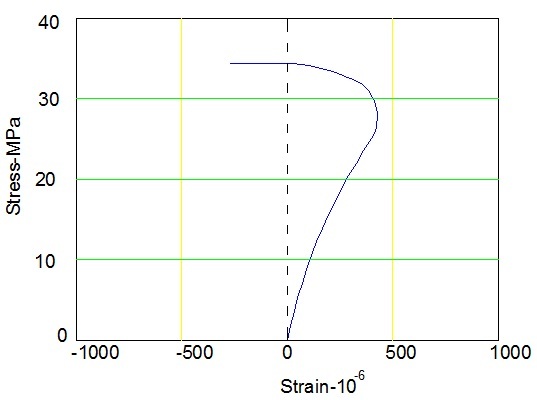 We all know about stress-strain graph; when volumetric strain is counted as strain and steady but rapid increasing of loading is applied, above particular stress level, poisson’s ratio shows rapid increment, due to formation of extensive vertical cracks. When stress level is increased further the volumetric strain variations changes sign; we are talking about this point. What would be under sustained loading? Under sustain load failure is matter time. Both high strength and normal strength concrete fails under this sustained loading.